House Doctor Rack storage rack trolley white metal - LIVING AND CO.
Beautiful metal chair from the atmosphere maker from Denmark; House Doctor. 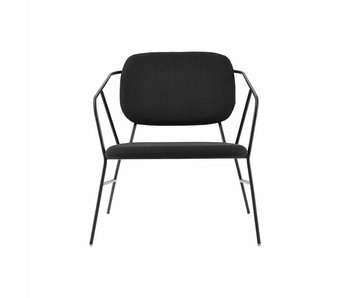 The House Doctor Klever lounge chair has a strong black metal frame with playful shapes and a fabric seat. Seat height 39 cm. A classic look but also modern? That's the glass Ball lamp by from Danish House Doctor! 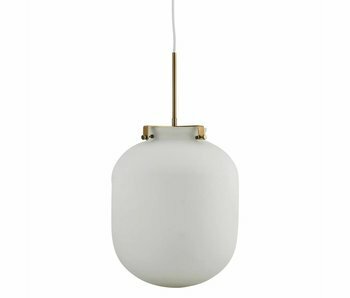 The House Doctor Ball pendant light is ideal above the dining room table and creates beautiful ambient lighting. In white with metal details. A real eye-catcher? That's the Shape baskets set from Danish House Doctor! 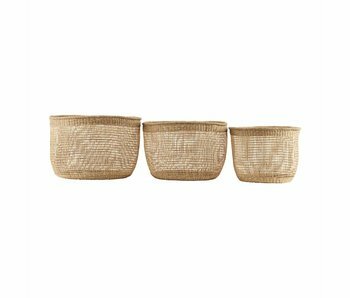 The House Doctor Shape baskets are perfect to use as storage or turn into a plantholder. Set of 3 baskets. A real eye-catcher? That's the Pin light from Danish House Doctor! The House Doctor Pin lamp is ideal to use as a table lamp and creates beautiful ambient lighting. Made of white marble, excluding light source.